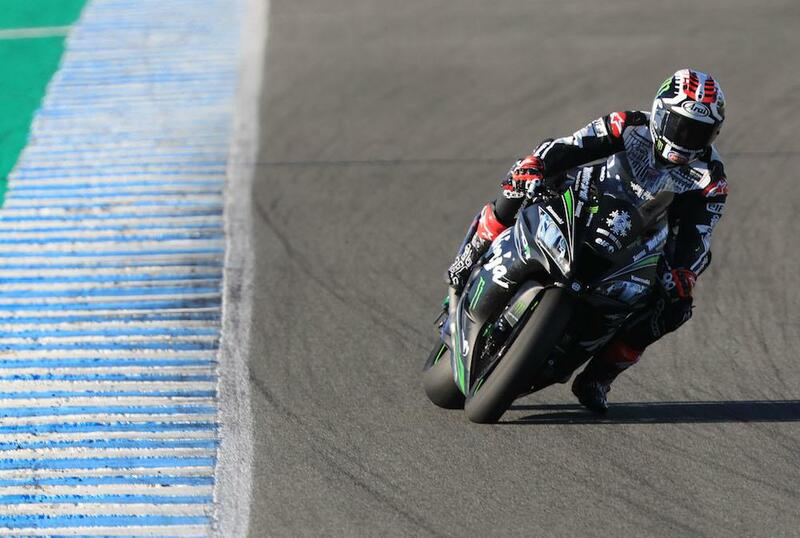 Jonathan Rea once again laid down the marker as a number of World Superbike teams continued their preparation for the 2019 season at Jerez. However, while Rea was over half a second quicker than the rest of the field there were promising signs for the season ahead as series new boy Alvaro Bautista seemed to gel quickly with Ducati’s all new V4 R, finishing the opening day just 0.322 seconds off pacesetter Rea. While the second day was a little tougher for the Spaniard, with a small tip off at turn two followed by being taken out by World Supersport’s Rafaelle de Rosa, he still finished ahead of team-mate Chaz Davies, 1.3 seconds off Rea in just his first test with the V4, which undoubtedly has more to give. Pleased with his 2019-spec Kawasaki ZX-10RR, saying it offered more potential than last year’s machine, Rea jumped straight to the top of the timesheets on day two, remaining significantly ahead of his rivals to end the final test of 2018 on top with a time of 1’38.713. Only PATA Yamaha’s Alex Lowes could get within a second of Rea’s quickest time, 0.664 seconds behind the four-time champion after working through various components including a new swinging arm as they look for improved grip and acceleration on corner exit. New KRT recruit Leon Haslam was third quickest, just over a second slower than team-mate Rea as he continues to acclimatise himself back to a World Superbike spec machine. Bautista was fourth quickest overall, ahead of Davies in fifth who says he is pleased with the potential of Ducati’s new steed – the Welshman admitted he was still struggling with his shoulder following a training accident earlier in the year. Michael van der Mark, who revealed he’d fractured his wrist in his big highside at the final round in Qatar, was sixth fastest as he fought through the pain. GRT Yamaha made their World Superbike debut, stepping up from the Supersport class with World Champion Sandro Cortese and Marco Melandri. Melandri was 1.5 seconds off the pace as he familiarises himself with the R1, while Cortese was just 1.8 seconds off Rea’s time as he gets used to riding a big 1000cc beast for the first time.